Nicholas is a Lecturer in Forensic Anthropology. 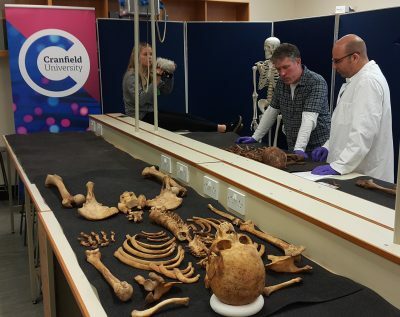 He has worked as a specialist in human skeletal remains from archaeological sites for over 15 years, and in recent years he has worked full time as a Forensic Anthropologist and Archaeologist in cases from a large number of police forces in the UK. He has a Postgraduate Certificate in Education and has trained Crime Scene Investigators from a number of forces in the UK and abroad; and regularly delivers talks to students, other scientists and police officers.